Do you lug around a bunch of keys for your home when you go out? It can get to be tiring after a while. There’s also a big chance that you might lose keys and require replacements. Not to mention the fact that if key falls into the hands of a thief, your safety and the safety of your possessions could be threatened. By installing keyless entry locks , residential variant, you won’t have to worry about any of that. 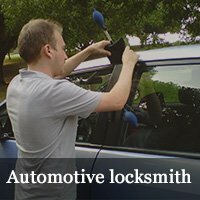 Jacksonville Lock And Safe is a professional locksmith service in Jacksonville, FL that can install new keyless locks for your home at affordable prices. 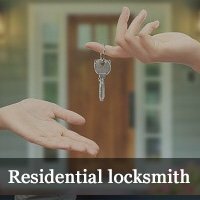 We have been installing locks for home owners in the local community for close to a decade. Our locksmiths know what they’re done and we can get the job done quickly. More convenient : Keyless entry systems are very easy to open. If you get some of the cutting-edge variants, you can open them with just a swipe of a finger or a voice command. Never lose keys: You won’t ever have to worry about losing keys again! You will also never have to pay for replacement keys. Can’t be locked out : A large number of people manage to lock themselves out of their homes by losing their keys. That won’t happen to you. 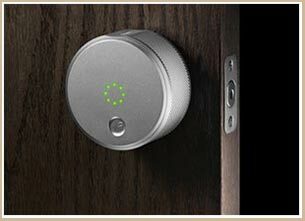 High security : Keyless locks provide a great deal of security. Also, because they don’t use keys, thieves won’t be able to use blanks to pick them open. Our keyless entry locks residential service can set you up with both electronic as well as mechanical locks. For external facing doors, we have Grade 1 locks available from the best manufacturers in the country. Grade 1 locks are rated by the American Locking Standards Institute as the safest residential locks in the market. We can install both electronic keyless locks that can be opened with a fob, your smartphone, a remote, with a thumbprint, or simply by tapping in a key code. Our keyless entry locks residential service can set you up with new locking systems 24 hours a day and 7 days a week. Our service is available in all areas of Jacksonville and beyond. Call us now on 904-531-3195 and we’ll be there in just 30 minutes!